Label: Cargo, Creator-Destructor Records, Revelation Records. Sons of the southern north, Atlas Losing Grip have tempered Sweden's melodic punk rock heritage with a burning love for the grandeur and power of heavy metal on their epic new full length, 'Currents', paying harmony-enriched homage to idols Iron Maiden and Metallica. 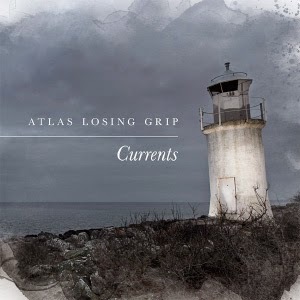 Atlas Losing Grip have certainly outdone themselves on the hour plus of music that makes up their ambitious new Double LP/CD, and fans of the band will surely appreciate their undeniable ability to maintain the integrity of their sound, while continuing to push their musical and lyrical boundaries, without compromise. Seldom has the energy, attitude and ethics of punk gone so well hand in hand with the larger-than-life possibility contained in heavy-metal influenced musical expression. Devotees of either genre will find something to love within the 14 tracks that make up the melodic and powerful 'Currents'.